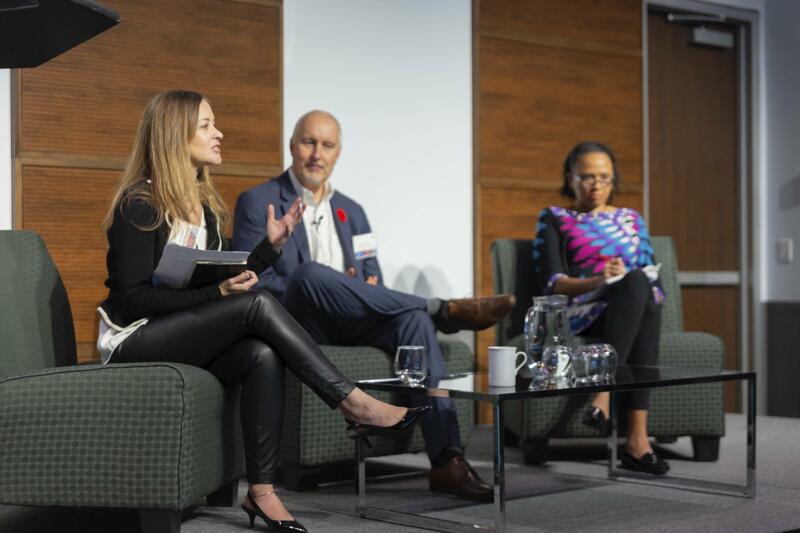 Elisa moderated a fascinating dialogue on the state of social entrepreneurship at the Social Finance Forum this November with two powerhouse panelists, Daniel Overall of the Trico Foundation and Cheryl Dorsey of Echoing Green. And a fun time was had. “Here’s hoping our conversation inspires further dialogue, thought and action, towards helping social entrepreneurs attain even greater impact in the future,” she said.